At Vice President Biden’s National Cancer Moonshot Summit today, VA and IBM Watson Health (NYSE: IBM) announced a public-private partnership to help doctors expand and scale access to precision medicine over the next two years for 10,000 American Veveteraterans with cancer. IBM’s Watson for Genomics technology is expected to help in the department’s precision oncology program by providing information to help physicians identify precision treatment options for almost 30 times more patients than could be previously served. The collaboration is expected to greatly speed up the ability of VA doctors to help identify precision treatment options for Veterans. Scientists and pathologists will sequence DNA for cancer patients, then feed de-identified genetic alteration files into Watson. Watson will generate a report for physicians that identifies the likely cancer-causing mutations and possible treatment options to target those specific mutations through a comprehensive review of existing medical literature – a data-intensive process that has been time-consuming and difficult to scale in the past. Veterans of war experience disproportionately high rates of cancer diagnosis and mortality and as America’s largest integrated health system, VA serves 3.5 percent of the nation’s cancer patients – the largest group of cancer patients in the country. Watson is expected to facilitate rapid access for Veterans to personalized care, particularly for patients with advanced cancer. As a tool to help doctors evaluate treatment options for their patients, Watson for Genomics produces a list of potential therapies ranked by levels of evidence with links to associated research and clinical trials for physicians to consider. This information could help inform VA’s healthcare professionals and Veterans of promising new cancer treatments. The VA’s top priorities of access to and quality of care could be enhanced through this innovative technology. 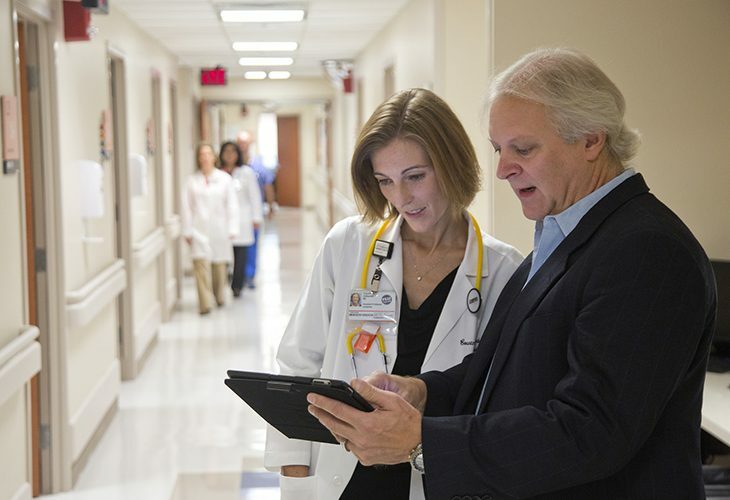 IBM’s commitment to VA follows more than two years of collaboration with more than 20 leading cancer institutes to train and validate Watson for Genomics. Early results from academic medical centers that are using Watson for Genomics show that the technology provides insights that match what a team of scientists and clinicians – a molecular tumor board – would uncover when analyzing genome sequencing data and suggesting potential treatment options to target cancer mutations. Both the VA and IBM have a history of innovation in the battle against cancer. The VA invested $52 million in 2015 to support nearly 250 cancer research projects, with a particular focus on better understanding and preventing cancers that are prevalent in the Veteran population. IBM researchers have developed cognitive computing technologies that enable researchers and clinicians to draw insights from vast, disparate data sources, including structured and unstructured data. IBM is collaborating with healthcare organizations to apply the cognitive computing power of Watson to the data challenges of cancer. The collaboration between IBM and the VA is also expected to help advance genomic research. Findings related to the identified treatment options in the literature will be shared with the academic community. The Department of Veterans Affairs (VA) is the second largest federal Department providing care to the nation’s 22 million Veterans. VA promotes the health, welfare and dignity of Veterans in recognition of their service to the Nation through its Veterans Health Administration, Veterans Benefits Administration and the National Cemetery Administration. Watson is the first commercially available cognitive computing capability representing a new era in computing. The system, delivered through the cloud, analyzes high volumes of data, understands complex questions posed in natural language, and proposes evidence-based answers. Watson continuously learns, gaining in value and knowledge over time, from previous interactions. In April 2015, the company launched IBM Watson Health and the Watson Health Cloud platform. The new unit will work with doctors, researchers and insurers to help them innovate by surfacing insights from the massive amount of personal health data being created and shared daily. The Watson Health Cloud can mask patient identities and allow for information to be shared and combined with a dynamic and constantly growing aggregated view of clinical, research and social health data. For more information on IBM Watson, visit: ibm.com/watson. For more information on IBM Watson Health, visit: ibm.com/watsonhealth. Check out the IBM Watson press kit at: http://www-03.ibm.com/press/us/en/presskit/27297.wss. Join the conversation at #ibmwatson and #watsonhealth. Follow Watson on Facebook and see Watson on YouTube and Flickr.